Statistics show that when incarcerated youth are released from the juvenile justice system they very often commit another crime. That’s why the Florida Department of Juvenile Justice and Daniel joined forces with the goal of breaking the cycle. Daniel’s professional team works to strengthen the resilience of children and youth who have previously committed law violations, promote school engagement, and teach new skills to increase the likelihood that program participants will not return to the criminal justice system. Youth that are referred by the Juvenile Justice system are also provided with Daniel’s behavior management and counseling to further reduce the likelihood of future crime recurrence. 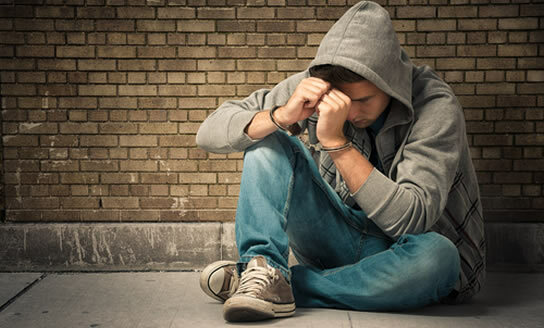 Daniel’s Behavior Management Program provides counseling services for youth who are currently being supervised by the Florida Department of Juvenile Justice to help prevent the occurrence of a new law violation. Daniel’s mental health professionals provide qualifying youth with weekly individual, family, and group counseling sessions over a three- to six-month period to address family issues, education and employment, peer relations, substance abuse, and behavioral issues. By promoting positive, productive school, home, and community behaviors, the program has proven successful with historical numbers showing that 82 percent of youth in Circuit 4 and 75 percent in Circuit 7 remain crime-free after completion of the program. Who We Help: Youth are referred to our program by the Florida Department of Juvenile Justice or by Department of Juvenile Justice probation officers. Eligible youth must reside in Madison, Taylor, Hamilton, Suwannee, Layfayette, Columbia, or Dixie Counties (Circuit 3) Clay, Duval or Nassau Counties (Circuit 4) or Flagler, St. Johns, Putnam and Volusia Counties (Circuit 7). Contact: For more information regarding the Behavior Management Program, email at Admissions@danielkids.org.